Select a museum below for more information. Stop by to get a tour during Railroad Days or call 507-375-4370 to schedule a tour in advance! The Rail Club is a train lover’s dream, with model trains running through various villages and scenes. The kids will enjoy the interactive section where they get to see a village come to life at the touch of a button. 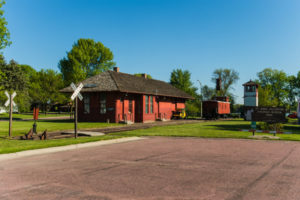 The St. James Historical Railroad Museum contains a historical depot building, a caboose, a signal tower, and a sand tower. Even if you do not have time to schedule a tour, stop by for some great photo ops! Roundhouse INC. is a non-profit organization run by members of the St. James Model Railroad Club. Roundhouse INC. educates visitors about the impact that railroads, in the USA and the St. James area in particular, had on the formation of the nation. Call to arrange a tour! Tours can include the Railroad Depot Museum. Visit website/Facebook for events, etc. Click here for a full brochure with detailed history. 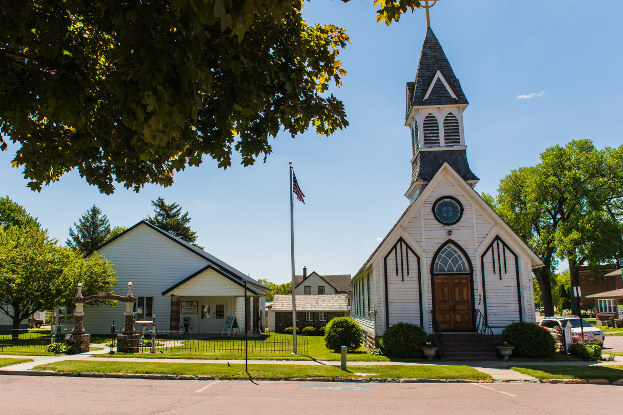 Step back in time at the St. James Chapter of the Watonwan Historical Society Museum. The museum has a variety of collections and displays for your viewing pleasure. 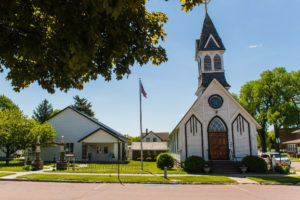 The St. James Chapter of the Watonwan County Historical Society was founded in 1990, with the goal of collecting and preserving the history of St. James and sharing this history with the community. Select a historical site below for more information. The Grand Opera House, also known as St. James Opera House, is a historic theatre building on Main Street. It was listed on the National Register of Historic Places in 2009 for its local significance in the theme of entertainment/recreation. 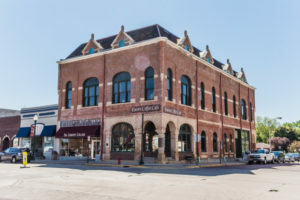 It was nominated for being the City’s principal performance venue from 1892 to 1921, bringing fine performing arts like theatre, music and comedy to a modest agricultural center, as well as hosting local events. St. James Opera House contains its auditorium on the upper floor, with retail space on the ground floor with a source of retail income. 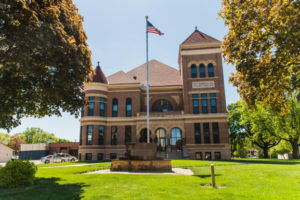 The Watonwan County Court House is the seat of government for Watonwan County, which has been in continual use since it was completed in 1896. It was listed on the National Register of Historical Places in 1987 for having State-level significance in the themes of agricultural and political/government. It was nominated for its exemplary Romanesque Revival architecture, its status as one of Minnesota’s monumental Victorian courthouses and as a local landmark, and its long-standing service as a County Seat. The Princess Theater building in St. James was built between 1913 and 1915 by Harry Nelson, to show silent movies. The theater was built as a 600 seat theater with a full balcony. In 1973 the building was purchased by the City of St. James to be used as a Community Center. The floor was made level, and the building was remodeled to include a full kitchen, bathrooms, meeting room and office space. For about 10 years the movie theater portion of the historic building was closed. In the winter of 1983 the City reopened the Princess Theater, using the restored balcony as the theater with a seating capacity of 186 people. 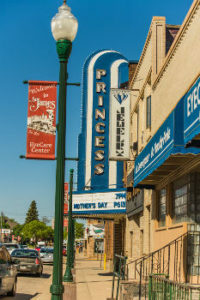 A “Save the Princess” committee was formed in the spring of 2012, and it raised the needed funds to purchase digital equipment and surround sound to keep the theater operational. The marquee was repainted and again lit with beautiful neon lights and the lobby was recently restored. The City also rebuilt an outdoor handicap accessible ramp to the theater in the fall of 2014. The St. James Area Veteran’s Memorial was dedicated on August 22nd, 2015. This memorial is a lasting tribute to past, present, and future Veterans who served during peace time and conflicts. 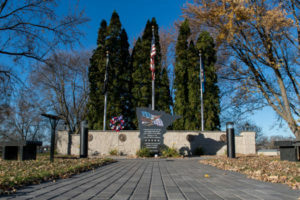 This memorial consists of pavers donated in honor of local veterans, two black granite benches and a Minnesota Monument framed by three flags. Donations can be mailed to Veteran’s Services at P.O. Box 132 in St. James. The Watonwan County Historical Society displays original guns and other items that the Younger Brothers surrendered to the citizens who captured them. 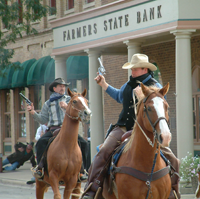 Each year the town of Madelia celebrates the capture of the infamous brothers by recreating the shootout at the site where it all took place. Read this article for more! Directions from St. James: Take 1st Avenue S east out of town and follow it through the curve North and it will turn into Highway 27. After Highway 27 curves east, follow the signs to take the first right on T108. The park is on your left right after you cross the bridge. Margaret Martin’s mural proposal for the St. James, Minnesota, post office showed Indians gathering wild rice, hunting fowl, and fishing, emphasizing the harmony between the Land of 10,000 Lakes and its earliest inhabitants. Martin took nine months to complete this work, which has hung in its original location at the post office since June 1940. In the mural, a woman uses sticks to harvest the rice from the stalks, while a man hunts birds with his bow and arrow and another prepares to spear a fish from the stream.